That's right! This mama has 2 days to actually get things done! Without little people running around asking for numerous things that they may or may not actually need...most of the time it is not a need. But, hang on! Before we get going on that business, let take a look back at last week's happenings. 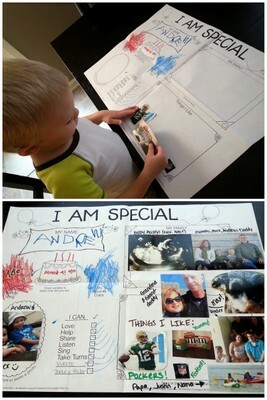 Andrew worked on his project for the 1st day of school :) We had to add pictures and things showing why he is special. When he was finished and we talked about it. He said, "Wow. I have a lot of big boys that are uncles." I said, "You do! That must be one of the things that makes you special, huh?" He said, "I think maybe so. And, I'm almost 4! I get to have big boy legos!" Haha! 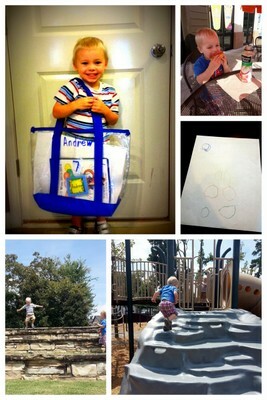 Top left: Andrew's first day of school!! Bottom: We headed to the park for lunch and some fun in the sun after pick up time. I'm usually very worried if it is too quiet in the house... 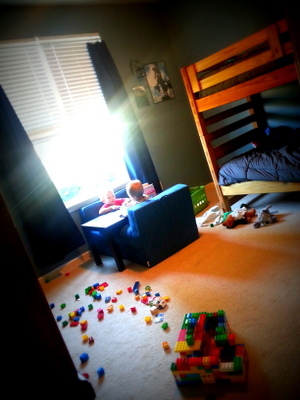 But when I looked around the corner to see just what was going on, I found the sweetest thing... 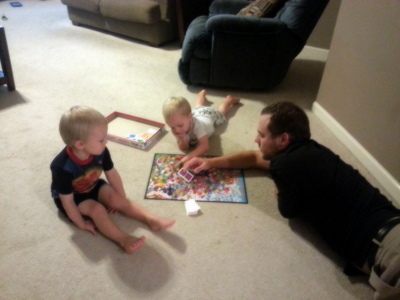 They were working on a puzzle together! Andrew came home with a yucky cough and nasty nose on Thursday...fun. Happy back-to-school, right?! Well, luckily, it only lasted through Sunday morning. 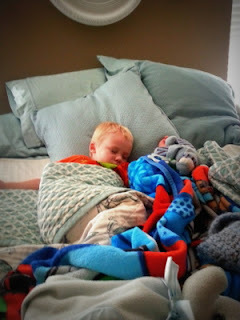 But he rested up most of the day Friday and is MUCH better now! 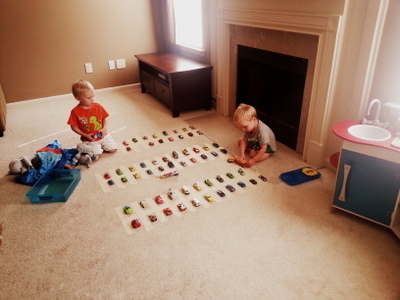 After his long nap Friday afternoon, he woke up to a parking lot in the living room. Gotta love that! 3. Continue working on the "Glory Be" with the boys before bed Andrew knows all of this prayer now!!! Alex has most of it :) YAY!! 7. Crafting: Start working on football scarf / If fabric comes in this week for Austin's quilt, then I hope to start on that, too. Ok, the scarf is just not going to happen... But!! My mom sent me a bunch of batting that she had and it came this week. And! The fabric is here, too! So I am doing this tomorrow!! 8. Organize: Laundry room / under our bathroom sinks My laundry room is evil... I gotta come up with a way to make this area stop getting out of hand. It also acts as a "mudroom" of sorts... Suggestions? 9. Austin's room to-do list/timeline YES! Now to just start crossing things off! 4. 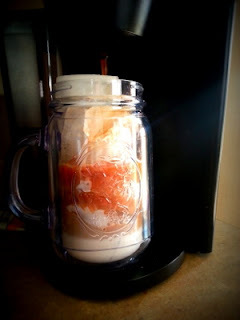 Wake up at 5:30 to keep reading through Catholic Mom's Cafe, A Catholic Mother's Companion to Pregnancy, and Glorious Grace in the morning. 6. Start gathering items for Andrew's birthday party! Monday: Labor Day! Brats, potato salad, and cookies!! Tuesday: Fall Harvest Bake (recipe) and Monster Cookies for Alex's first day of school!